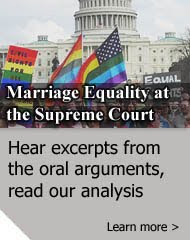 The Supreme Court will hear oral arguments tomorrow in Equal Employment Opportunity Commission v. Abercrombie & Fitch Stores, Inc., a case testing the rights of job applicants who need a religious accommodation from their would-be employer. The plaintiff is a 17-year-old Muslim woman, Samantha Elauf, whose job offer to work at an Abercrombie & Fitch store in a mall in Tulsa, Oklahoma was revoked when managers discovered that she intended to wear a religious headscarf while at work. Doing so, they said, would violate the corporate “look policy” for employees. A federal district court ruled in Samantha’s favor, finding that she had been subject to illegal discrimination because of her religion in violation of Title VII of the Civil Rights Act of 1964, the federal statute that bars employment discrimination. The Tenth Circuit Court of Appeals, however, reversed this ruling. It found that, even though she had worn her hijabto the job interview, she had not explicitly told Abercrombie that she wore a headscarf for religious reasons and expressly requested an accommodation under Title VII. The Tenth Circuit’s ruling on this issue differed from other federal appeals courts, which have found that the notice element of a plaintiff’s prima facie claim is met if the employer has actual knowledge of a job applicant’s religious practice even if an express request for an accommodation is not made. The particular issue raised on appeal in the Supreme Court is not the underlying substantive one of whether Samantha has the right to an exception from Abercrombie’s dress policy for religious reasons under Title VII, though her case is a strong one. Employers are required to “reasonably” accommodate an employee’s religious practices, meaning that they must do so when it does not impose an “undue burden” on them. The expense associated with allowing an employee to wear a headscarf (i.e. the harm created by a slight deviation from its dress code) is minimal, and her practice would not impose on burden on her co-workers. In this case, however, the Supreme Court is considering the narrower issue of whether “explicit notice” should be required. Samantha did not expressly request an accommodation in part because she had no idea she would need one. After all, it is employers, not job applicants, who know what corporate policies the employer has established governing employees. How was she to know that she would need an exception to a rule that she didn’t know even existed? For that matter, how can Abercrombie plead ignorance of Samantha’s need for an accommodation that was as plain as the scarf on her head? As the Supreme Court hears arguments, the justices should focus on the difficult situation that job applicants would be placed in if it adopts the Tenth Circuit’s explicit notice rule. In a job interview, a moment when the employer has the upper hand, an applicant should not be forced to raise the issue of a need for special treatment. Employers would be tempted simply to hire someone without any such needs, leading to increased illegal discrimination against religious minorities. 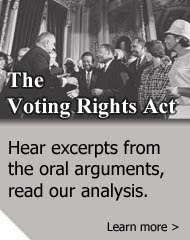 The Supreme Court should not permit an employer to discriminate against a job applicant on the basis of her religion without legal consequence just because the applicant does not expressly state her need for a religious accommodation and is unaware of employer policies that would require it. When an employer actually knows someone will need an accommodation, the applicant should not be punished for failing to say the right magic words. William Burgess is the Senior Staff Attorney at the Council on American-Islamic Relations, which filed an amicus brief with the Supreme Court in this case in support of the EEOC. CAIR’s Oklahoma chapter assisted the plaintiff in this case in preparing her complaint to the EEOC. CAIR is the largest American Muslim civil rights organization in the country, dedicated to protecting the civil rights and liberties of all Americans and fostering a greater understanding of Islam in the U.S.